Editorial | Is UC Berkeley putting real issues to bed with housing proposal? UC Berkeley is increasing student housing. But is it putting its real issues to bed? In the early April, students living in UC Berkeley’s University Village in Albany received notices stating that those deemed “emotionally unfit” were susceptible to eviction. After outrage from tenants, this troublesome clause was removed before it was ever enforced. It’s insensitive notifications such as this one that are an example of UC Berkeley’s history of inappropriate responses in the face of the city’s daunting housing crisis. Students are rightfully wary about Chancellor Carol Christ’s upcoming plan to expand campus housing in the coming years. With all these grandiose proposals to address Berkeley’s housing crisis, how will the administration make sure it still listens to and accommodates the ever-increasing needs of a bloating student population? As the student body grows, so does the number of people who are affected by subpar living conditions. When University Village experienced a 30-hour power outage, the western portion of the 974-apartment complex lost hundreds of dollars in spoiled food. With increasingly larger freshman classes, the units are seeing study lounges turned into quads and three people packed into rooms that were meant to be doubles. 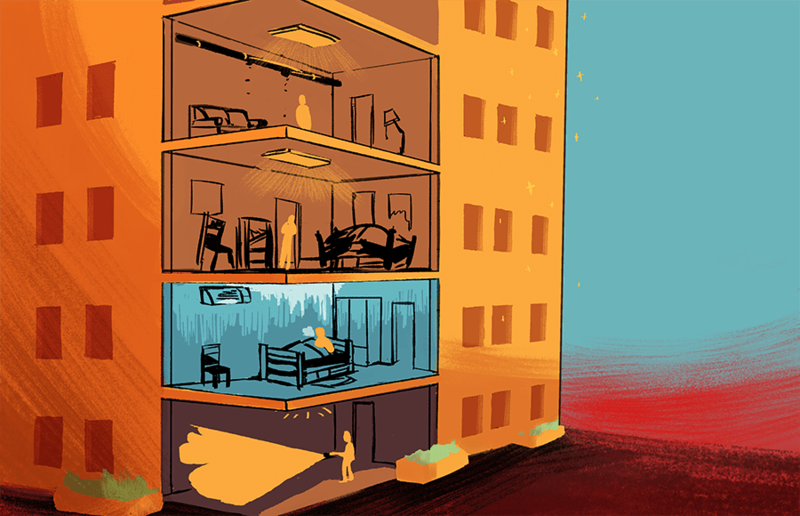 The campus has cut corners before to squeeze more students on campus — now, it’s crucial that it prioritizes student living conditions. But, especially considering the economic pressure of the Bay Area housing market, better living conditions shouldn’t come with a bigger price tag. In early May, a group of demonstrators marched to the Residential and Student Service Programs, or RSSP, offices in response to a rent hike that would increase next year’s housing costs by an average of 4 percent. The school responded by saying that increases in housing costs are a result of issues beyond the reach of RSSP. Yes, the school can keep placing the blame on the nature of the Bay Area — but ultimately, if the school wants to retain a diverse and active student body, it needs to begin by taking greater steps to mediate the effects this market has on the school’s accessibility. Even though the school has hit roadblocks with housing in the past, it is commendable that it is making an effort to make campus housing a bigger priority. The school made strides to listen to campus voices with its 2017 housing survey, an effort to provide the school with greater insight into how UC Berkeley can meet student needs in the coming years. Now, it’s on the school to take these goals and put them into action. As UC Berkeley lays the foundation for 7,500 new beds, it needs to understand that providing these beds is only the first step in addressing student needs. Ultimately, it’s not the school’s ability to build more housing that’s the real issue — the issue lies in whether the school understands whom it is making these buildings for.